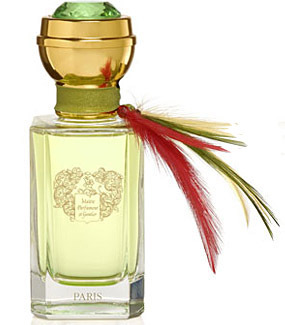 When I first tried Maitre Parfumeur et Gantier Bahiana, I merely dismissed it as Dolce & Gabanna Light Blue for Her but with more plumage. Both have some similarities – citrus, dry woods and a breezy feel. However, now that I’m trying Bahiana again, over a decade from its initial release, I realize there’s some to Bahiana. The opening of Bahiana is almost like a vegetal, musky citrus. It’s lemon and something that reminds me of ambrette. As it wears, it becomes more of a lime and “ocean breeze”. The heart is one of those sheer, woodsy citrus numbers we expect from perfumes inspired by tropical cocktails and beaches. The dry-down is a bittersweet mix of dried woods and coconut shells. Bahiana has more greens, more bitterness and is less sweet than I remember. It’s like driftwood and a caipirinha. I do think of Bahiana as an upgrade from the designer brand’s citrus-woods perfumes. If I had to wear something like this (you know, a beachy, airy perfume), I’d rather wear Bahiana than a lot of the other things in this genre. But, I rarely get in the mood for such things so I’d never pay the niche price for something I’d rarely wear. However, if my description appeals to you, it’s worth sampling. Give Bahiana a try if you like woodsy, citrus perfume or beach scents that aren’t like tanning oil. Or if you like perfumes like Dolce & Gabbana Light Blue for Her, CREED Virgin Island Water, Acqua di Parma Arancia de Capri, Moschino I Love Love, Yves Rocher Naturelle and/or Dua Caribbean Waters. Projection and longevity are below average. It is an EDT. I was hoping by now they’d give us this in an EDP form. I’m lucky to get 2-3 hours wear from this. I don’t know if this is a just “me” thing (like I become anosmic) or if this is typical. The 3.4 oz bottle of Bahiana retails for $130 at Beautyhabit. Samples are also available for purchase. Victoria’s Final EauPINION – Airy, woody citrus – caipirinha and driftwood. Perfectly nice fragrance that plays nicely in the heat. Plus, it has feathers. *Sample purchased by me. Product pic from Beautyhabit. Claudine Auger pic from fanpix.net. Post contains an affiliate link. Thanks!